n Only 2% of B2B sales are closed the first time buyer and seller meet. The other 98% require the patience and persistence of a great teacher—anathema to most salespeople. 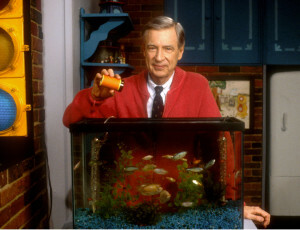 Remember Mr. Rogers' penchant for explanation? Please say when you are feeding your fish, because I worry about them. I can’t see if you are feeding them, so please say you are feeding them out loud. Do you have the knack for explaining your value proposition to prospects each and every weekday? Or do you cast about for the 2% of deals you can close in one fell swoop?